Mya Shmuel, an Israeli border police officer, was badly injured in a surprise terrorist attack in May 2015. She was one of four disabled veterans who shared their inspiring stories during the 2016 Celebration of Life Concerts in Calgary (June 5), Montreal (June 7) and Toronto (June 9). Mya was born and raised in Florida. She made aliyah following a Birthright trip and enlisted as an IDF lone soldier. Last year, while on patrol with her Border Police unit, Mya was run over by a terrorist. She has spent six months in rehabilitation at Tel Hashomer, coming a long way since being injured. With constant love and encouragement from her boyfriend, Shahaf Golan, Mya has made a remarkable recovery. 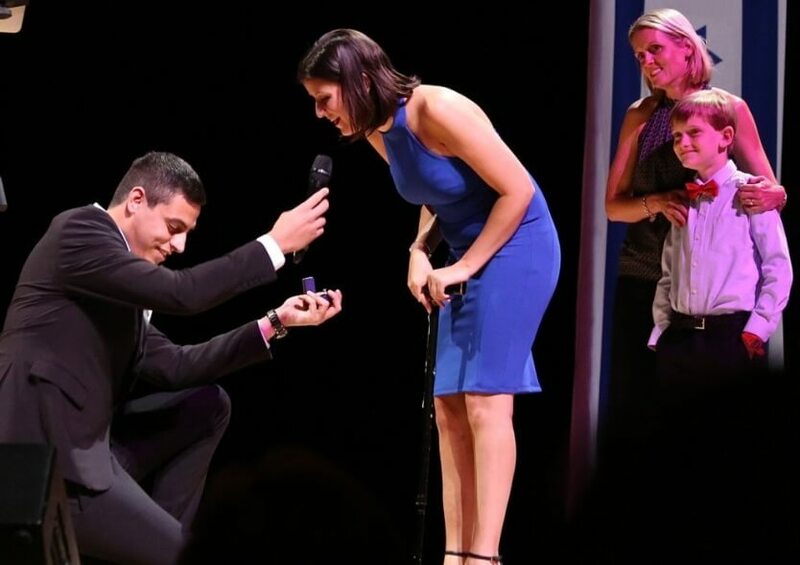 At the Toronto event, Shahaf got down on his knees onstage and, with ring in hand, proposed to Mya while her mother and brother looked on. There was not a dry eye in the concert hall.